Ibironke is a lover of children, a passionate educator and an advocate of women empowerment as a catalyst for National economic development. After almost a decade of work experience in Brand management and customer relationship management including working in Multinational Telecoms Giant MTN Nigeria, Her twin interests in girl child education and the economic prosperity of Africa led her to found Pearls Hub which is a community that provides girls with information and education that protect them against poverty, sexual and gender-based violence. She believes strongly that women/girls empowerment is very key to breaking the cycle of poverty prevalent in most homes in Africa. Pearls hub stirs up hope in young girls to live their dreams and hence increase the pool of women leaders in business, government and development spheres. She is Lead Coach at Clarity school for girls which is Africa’s foremost Lifeskills School for teenage girls. She is a support coach with Immerse coaching company where she coaches women to discover and live their best lives everyday,2017 Female and More Enabler, 2018 STEMScholar Mentor at New York academy of Sciences. She is a content contributor on paradoka.com, an online magazine which tells stories of African women in their own voices. 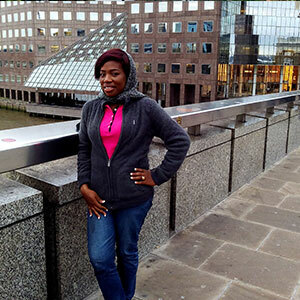 Ibironke is a voracious reader who believes in self development as a never-ending journey. She lives in Lagos, Nigeria with her family.